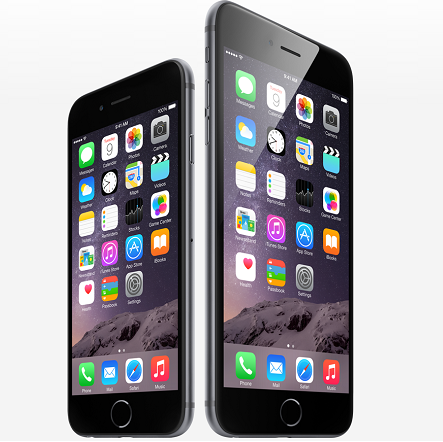 Apple announced its latest iPhone variants in the shape of larger 4.7-inch iPhone 6 and a 5.5-inch iPhone 6 Plus phablet. You can now pre-order iPhone 6 and iPhone 6 Plus in some countries while the others have to wait. Here is a comprehensive post to help you see where you can pre-order iPhone 6 and iPhone 6 Plus and what are the expected release dates in different regions. If you really want to get your hands on the latest flagship smartphones, it is important that you pre-order iPhone 6 or iPhone 6 Plus as quickly as you can to avoid supply issues. While Apple promised that the iPhone models will be available in various regions, there are only a few countries where iPhone 6 and 6 Plus pre-orders have opened today. iPhone 6 and iPhone 6 Plus release date was supposed to September 19th, but you can expect more delays for some regions. If you are based in the United States, Australia, Canada, France, Germany, Hong Kong, Japan, Puerto Rico, Singapore, and the UK, you can pre-order iPhone 6 and 6 Plus today. Yes, unfortunately and unexpectedly iPhone 6 and 6 Plus pre-orders haven’t opened up in China – Apple’s biggest growth area. So hurry up and pre-order iPhone 6 and 6 Plus as soon as you can!